This is a great entry level pack for those who are thinking or planning on entering the world of Ultralight/Lightweight Backpacking. The 2012 50L Jam has great features that can be found on other packs and allows the user to setup the backpack to be frameless or framed. When I started backpacking, just like a lot of people, my overall backpack weight was on the heavy side. Not wanting to give up backpacking, I knew that if I decreased my pack weight, I could potentially enjoy backpacking more. One of the items that I knew I had to upgrade was my backpack. 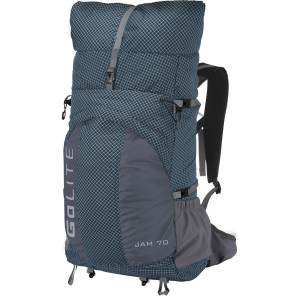 After months of research, I decided to get the 2012 Golite 50L Jam. When I first received this in the mail a few days after ordering it, I was so surprised how small the box was when it was delivered...I couldn't believe there was backpack inside this small box. After un-boxing the newly acquired toy, I was concerned with such a lightweight pack, how is it going to ride and how comfortable will this be with loads of up to 25 lbs.? As any good "tester" or excited kid with a new toy, I loaded the pack with my normal overnight gear and I was very surprised how comfortable this pack fit me. It allowed full weight transfer of the pack to my waist and left my shoulders free from discomfort. Another surprise was how roomy this pack was, it allowed me to fully pack a double-walled tent, sleeping bag, sleeping pad, water bladder, and a bear canister (albeit, a small canister). All of these items in a pack that weighs less than 2lbs! Here's a shot of the pack loaded with 23lbs. total weight (with food and water) on a recent trip. This pack is built to last in my opinion. Fabric is made from Gridstop Nylon + Dyneema which results in a very durable yet lightweight pack — plus it also provided the user an option to take out the frame sheet to convert this pack to become frameless. It also features load lifters and a unique compression system that can buckle across the front of the pack or just on the sides. The biggest feature of all is the price...it's amazingly affordable. The only complaint I do have about this pack is the front pocket; it can be difficult to add items once the main compartment is full. However, if you place items in the front pocket first before the main compartment, I have found that this alleviates the issue. I have had this pack since February of this year and I have taken this pack out on multiple backpacking trips and day trips. I highly recommend this pack to anyone who is interested in getting into Ultralight or Lightweight backpacking, this pack does not sacrifice comfort in any way and it's been one of my favorite pieces of gear thus far. 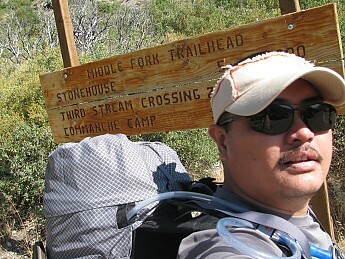 Solid entry into backpacking with less weight, more miles and more fun. If you're wanting to go lighter but aren't ready to commit lots of money to a specialized pack, go for this pack. 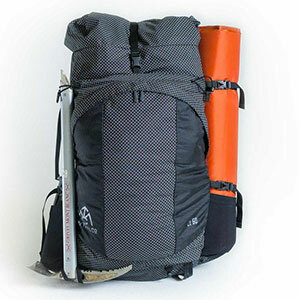 Adequate pack for those who want to hike ultralight. Adequate pack for those who want to hike ultralight. The material is thinner than expected, but very durable. Side pocket storage for water or accessories isn't as well made as hoped. 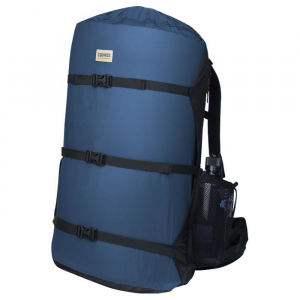 Can convert from 50L down to a comfortable daypack. Recently returned from a trip to Glacier. I used this pack on part of a three-day two-night loop. The person I borrowed this from uses it (pre-spring 2014 edition) exclusively, even on longer 3-4 day hikes. He packs ultralight. I'll list what he usually puts in the bag instead of what I used on this trip. I will then tell you my experience with the fit, comfortability, etc. By seeing the picture, it may appear a bit boxy at the top. This is the just area that expands or rolls down to convert into a daypack; a great feature. There is no real internal frame, but it is rigid. Again, think "ultralight" when seeing this design. The hip belts and shoulder straps are thinner than normal because of this, but didn't pose any problems to me. With the three other guys I was with, I may have been packing heavier than he normally would by having about 30 lbs. in it. By no means was this putting excess stress on the pack though. I didn't have any odd pressure. With the sternum strap hooked, I had the usual 80% pressure on my hips and about 20% on my chest and shoulders. My friend also uses a Platypus bladder in the side mesh pocket with the hose going up through the side. I did the same and had a 1L Nalgene on the other side, no problem. I didn't like the design of the elastic mesh and it was actually unstitched when I was wearing it. There was also a lack of outside loops and straps to use for a sleeping pad, etc. My friend packs his Thermarest blow-up pad inside and uses his ultralight sleeping bag to pack around his solid items in his pack, really to fill in the gaps. This way he doesn't have anything strapped on the outside. This is was still no problem to have 2.5 days of food, pot, stove and one fuel canister in the pack. Overall, the price is spot on for this pack and the people using it. It can also do well as a female pack. Lightweight, durable, and comfortable on those 2-3 day hikes. For cutting pack weight, this is a wonderful choice. For cutting pack weight, this is a wonderful choice. 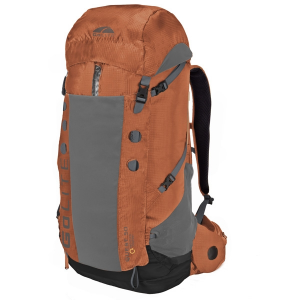 To make the transition to this pack, you already need to have your pack weight down to 30lb or under or you will run the risk of damaging the pack more quickly. Fits well and durable for its construction. Although this is a frame less pack, it comes with a small compartment along the spine of the pack with a plate that gives it some rigidity. I have found that the frame less aspect of the pack is a blessing, because I am able to take my closed-cell foam sleeping pad, fold it down, and it fits perfectly as a comfortable option for back support. The downside to this option is that it removes a decent portion of the total pack volume available for your other items. Even so, the pack capacity is perfect for my current setup. With tent, sleeping bag, pad, cooking items, clothing, food, and water, I fill the pack evenly to the top of the shoulder straps, and the pack folds down to compress the unneeded room in the top of the pack. The pockets on the waist strap and the sides of the pack are great for carrying quickly-accessible water pouches and items you may want on a frequent basis like small snacks, camera, and chapstick/sunscreen. With only one zipping entrance to the large and small compartments of this pack, it was at first a little more difficult to get to the items I needed, but after trial and error and learning to fill this pack correctly, I never want to go back to a more traditional pack. The pack has options for compressing down unused space, and can convert to a ~30L pack quite easily. The straps are all adjustable and comfortable. I spent 90 miles last week wearing this pack and only noticed slight rubbing on my right hip due to some snow getting the strap wet from going down a snow chute. So far the pack shows no signs of wear, and I greatly recommend it for cutting down weight and moving into ultralight packing if that is what you are interested in. I have the original GoLite 50. Like all GoLite lite products they look great but have some design flaws. The 50 pack is not at all stiff, unless it is almost loaded to capacity. I improved mine by making AL stays in the back to stiffen it. Otherwise it is just an empty sack. The front pockets intrude on the interior space. Hi Jim, nice review. I still own a GoLite Gust (the design from which the Jam was spun off) 70l backpack from 2003 and I still use it for all my multi-day trekking. It only weighs about 560 grams and it is the most comfortable pack I have ever used. 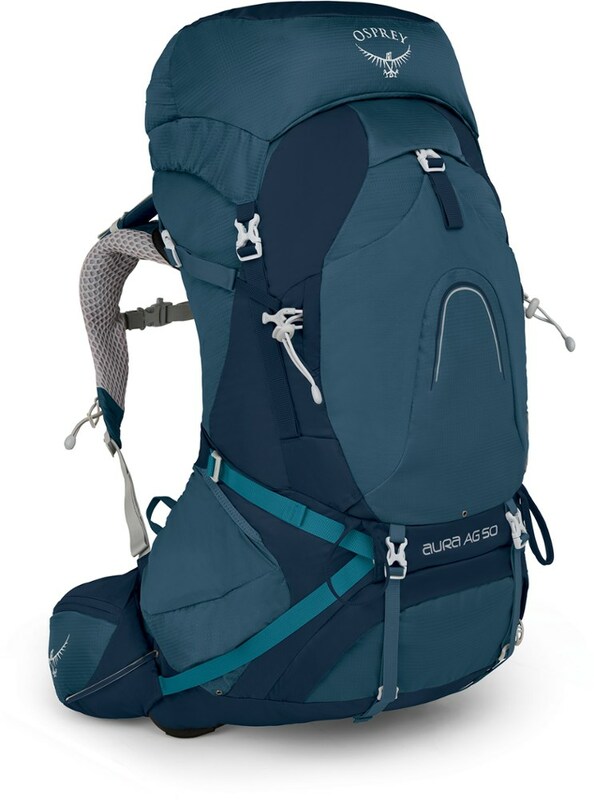 It's a pack that works well with lots of light gear to fill it up (not a problem for me on long hikes). 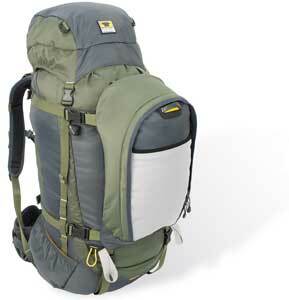 With just a few heavy items the pack will sag quite a bit, but then it wasn't designed for that kind of backpacking. It's a shame the old Golite 'ultra-minimal' mentality is gone. 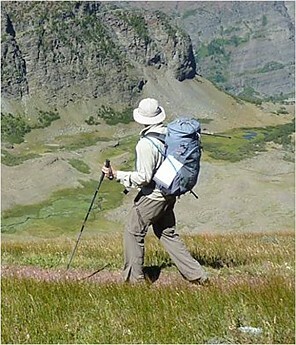 Nowadays, most other so-called 'ultralight' rucksacks are at least twice the weight. Golite was quite cheap too! Welcome to Trailspace, Jim! Are you still using your Jam, or did you move on to another pack? Very uncomfortable and non-lasting pack. Not worth your money! My husband and I hiked the PCT this year and we bought some gear from GoLite (nice Chrome Dome, gloves, jackets) with the main piece being my Jam 50. I liked it because of the weight (it kept my base weight very low), but it turned out to NOT be worth it at all. Even though the guy in the Fort Collins store assured us that all the gear was top quality and would last, it turned out the gear was not made to even slightly last a thru-hike. Not even two weeks! After the first couple of days (even though my weight stayed around 20-25 pounds) the straps started cutting into my shoulders, the 'frame' completely bent so that it did not sit on my back right at all (very uncomfortable/painful), and the material (especially the mesh side pockets) started ripping. In Cabazon, I went to the outlet store and I received excellent service. They replaced my bag (thinking it might be the size of the bag) and I gave GoLite and the Jam 50 another shot. However, the same exact things started happening right away. When I contacted the GoLite customer service I was spoken to very rudely and there was no space for my story. I was blown off and told to deal with it. I'm sure their gear is fine for overnight trips and weekends, but even for that kind of trip, I won't ever buy GoLite anymore because the service left such a bad taste in my mouth. Welcome to Trailspace, Sunshine. I'm sorry to hear your pack didn't work out for your PCT thru-hike. Thanks for sharing your experience with it. Lightweight, durable pack with a good carry-capacity. Lightweight, durable pack with a good carry-capacity. Ample padding on the back makes it a comfortable carry even for overnight loads. The Jam is my first foray into UL, frameless bags, and I've been impressed so far. First of all I found the bag to be very durable, having made it through a couple of short trips that involved "wading" through brush-pine and low-hanging spruce branches. It's also surprisingly comfortable to carry, but takes a bit of micro-managing to get the straps adjusted to the right fit. I've carried up to 25lbs, including snowshoes strapped to the back on a (mild) winter overnighter without any stability issues. I'm also impressed by the overall capacity and have used it as a travel bag as well. In warmer weather, I've done a three-day hike and still had room to spare. My issues with the pack are minor at this point, but I find the drawstring on the main pack a bit tricky to open. Since there's no lid on the pack, I'm guessing it was designed so gear doesn't come tumbling out. Also, the secondary pocket is a little difficult to get gear in and out of if the main pack is full. On more rigid packs this usually isn't a problem, but this comes with the tradeoff for weight. I'm quite pleased with this pack so far—the weight savings and durability, not to mention the price, really make this a solid pack. I just received my GoLite Jam 50 for $90 dollars and I am anxious to get it out and use it. After taking it out of the wrapping, I can definitely tell there is a great amount of quality put into it. The Jam 50L has been discontinued. It was replaced by the My Trail Backpack Light 50L. 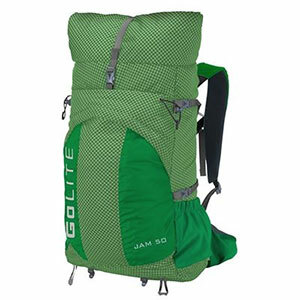 The GoLite Jam 50L is not available from the stores we monitor. It was last seen October 28, 2014	at GoLite.com.